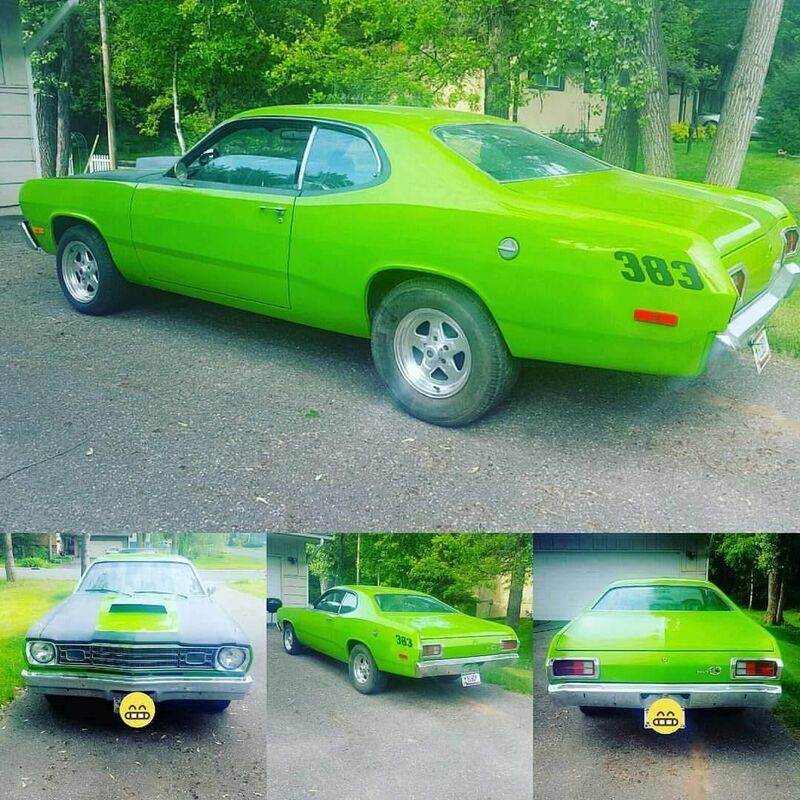 1973 Plymouth Duster 383. Its got a 1967 Roadrunner engine put in her and a new 750 Holycarb. Pushing around 500 horse. She’s definitely mean!